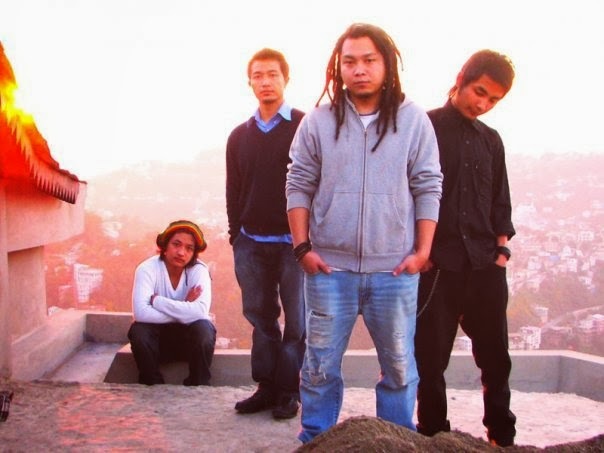 New Delhi, Dec 2 : It is tough to sell rock albums in Mizoram because of the dominance of gospel music in the northeastern state, says Atea, vocalist of Boomarang, a rock band from the state that is trying to meander its way into the country's mainstream music scene. Boomarang, which also consists of Boom (guitar), Joshua (bass) and RS aka Rosangliana (drums), was formed in 2005 but has only now come up with its debut album "Home". "We have a number of rock bands in Aizawl (capital of Mizoram). But the general music scene is dominated by artists who sing church songs. Not hymns, but gospel songs. Rock songs don't sell that good. Gospel artists' CDs sell more," Atea, who performed with band members in the capital earlier this week, told IANS. He believes religion plays a role in the success of gospel music in the state. "Most of us are Christians (nearly 90 percent of its one million population); so a major part of the population listens to gospel songs," he said. Bands or artists in his hometown also have limited ways to make their music reach out to the masses. "If people want to come up with an independent album, they need to sell it themselves. Usually 10,000 copies are sold for Rs.100 or Rs.200 each. There are a few NGOs like the Young Mizo Association that help in selling CDs. They distribute to the community by visiting houses," said the singer. The band, which has also been named 'Top ten bands to watch out for' in India by the Rolling Stone magazine, had to start off by singing covers. Now, the members are glad they don't have to take the difficult route to make their music known. Their three-year association with Contrabands, a joint venture between record label Universal Music India, entertainment channel Vh1 and live music venue Hard Rock Café has given them the right platform. "Contrabands has helped us a lot. We got a chance to frequently play our video on a channel like Vh1. For bands like us, it's the perfect platform. We are able to play more live shows and we finally got a chance to share our music with the country," said Atea, who is on a multi-city tour with his bandmates. As part of the contract, they will get to play in cities like Mumbai, Bangalore, Pune and Hyderabad. They have also played alongside international acts like Korn, Lamb of God, Aurora Jane, Fire house, Tribal Tech and Enslaved. But for them, the capital turned out to be the most exciting place to perform in. "We have played in a lot of places like Silchar, Guwahati, Bangalore, Mumbai and Kolkata. But Delhi is the most exciting place for us. We have a great number of followers and supporters here," Atea said. The band likes to write on themes like love and politics. It has been working on original songs since its inception, but could only manage to pull off an album with the help of Contrabands. "Our debut album is called 'Home'. There are 14 original songs written and composed by us. It was released last week in Mumbai's Hard Rock Café," said Atea.